The U.S. Department of Defense, specifically the Pentagon, requested bidders for a cloud computing service contract which has been estimated at $10 billion over a decade. 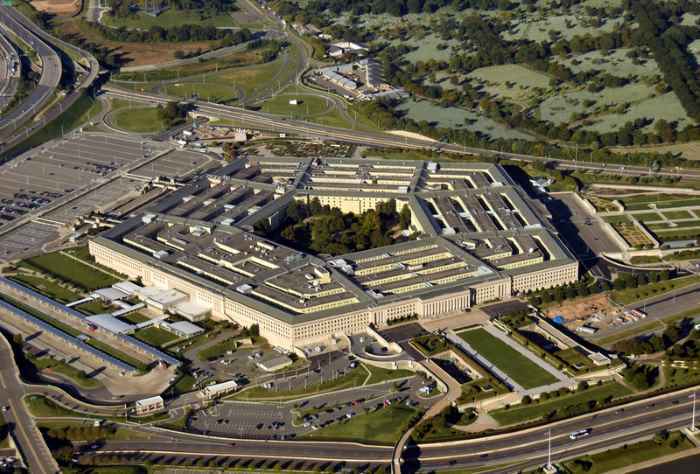 The project, known as the Joint Enterprise Defense Infrastructure (JEDI) Cloud, is aimed at modernizing Pentagon information technology systems. When bidding started last year, Oracle Corp, IBM Corp, Amazon Inc and Microsoft Corp were all in the running for the $10 billion contract. The progression is quite a blow to Oracle Corp and IBM Corp, who were knocked out the running by Amazon Inc and Microsoft Corp.
At the time of bidding, Amazon Web Services was the only one of the four companies which had been approved by the U.S. government to handle top secret national data. Smith has noted that the earliest a contract will be awarded — probably to either Amazon Inc or Microsoft Corp — is around mid-July, due to the complex nature of the deal, potential protest litigation and ongoing investigations. Once such investigation focuses on a former Amazon employee who was working on the JEDI project. He recused himself then left the Department of Defense to return to Amazon. A department review of the acquisitions process did find potential ethical violations, which have been passed on to the inspector general of the Defense Department for continued investigation. Amazon and Microsoft will continue to compete for the JEDI Cloud Project until mid-July, as long as the investigation into Amazon doesn’t knock it from being a contender.